March 20th ushers in another new year – a Persian Iranian New Year known as Nowruz or “New Day” which coincides with the Spring equinox. It’s all new to me. ARUSI PERSIAN WEDDING has been a wonderful teaching moment to me. Since working with this film, I’ve become acquainted with a very vibrant Iranian American community (and this includes Jewish Iranian American) right here where I live as well as other cities across the US. This film is packing the house in LA, Chicago, NY, Boston, New Orleans. ARUSI PERSIAN WEDDING has brought audiences out into the open. Yes, there is a wedding in the film, but here’s where we get to the issue of people and politics (when and where do we separate). “Are you here for the wedding?” has been my little joke when people check in at the door for the film screening. Prior to this ARUSI, I only had three memorable impressions of Iran: Ayatollahs/ clerics, protesters, and American hostages. That was all I saw [on TV]; that was all I knew. I actually witnessed the protests here in DC that led to the Iranian Revolution in the late 1970s. Many students marched in front of the White House chanting “Shah is a U.S. Puppet. Down with the Shah.” “Who was this Shah or “Shaw”? I was thinking? I was a kid. I was on summer vacation. My sister gave me the gift of an art class at the Corcoran School of Art. I’d walk from the Corcoran in front of the White House and towards downtown where my mother worked. Everyday, the protesters would be there chanting, lifting their signs. I’d walk past them, around them, and then one day, I decided to walk through them holding tight to my sketch pad and my tackle box. The student protesters never looked as if they’d hurt me. But they were obviously upset about something. I came away from the reading with an impression not much different than when I came in. There was a sadness in this memoir for what was initially a hopeful new beginning for Iran that just didn’t happen for a certain segment of the country’s citizens especially academic professionals. In some ways, this disappointed generation who were of age during the revolution remind me of Cuban exiles who supported the removal of Fulginio Baptista. Today, I’m still seeing Ayatollahs and protesters – but from a distance and virtually. The hostage situation came to a close, maybe not quietly, but without crazy bloodshed. There are still many questions to ask, but ARUSI PERSIAN WEDDING has given this dialogue on U.S. Iran relations a human face. It’s a familiar human face of people having picnics in the park, shopping in bazaars, eating, drinking, enjoying family, being in love…and some politics thrown in. It’s the Iran I’ve never seen and you probably won’t see on CNN or MSM more focused on the nuclear somethings (I’m not sure what), National Guards and “Imadinnerjacket” in Whoopi Goldberg’s words. There’s nothing else there according to their assessment – nothing worth caring about. After seeing ARUSI PERSIAN WEDDING I and others who’ve seen the film actually want to visit Iran. I’m sure travel plans are pending on the outcome of the elections in June as a friend was advised during one of the ARUSI screenings. Reformer and ex-President Mohamad Khatami has thrown his hat in the ring to run against the current conservative President Mahmoud Ahmadinejad. I didn’t want to go political when I set up these screenings, but as this film and blog makes clear – it’s all interwoven and interconnected. 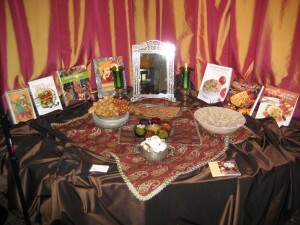 I gave away two copies of Persian Love Poetry at the first two screenings of ARUSI PERSIAN WEDDING. The volume extends love to all human and godly kind. All I ask is to see the people. It’s not too late for a new years resolution. The Smithsonian Freer Gallery of Art will host a Nowruz celebration Saturday, March 7 from 10:30 am – 5:30 pm. The Freer is located at 12th Street and Independence Avenue – DC. Najmieh Batmanglij , who presented at the first DC ARUSI PERSIAN WEDDING screening will discuss the meaning of the Nowruz “haft sin” table and sign copies of her book “Happy Nowruz: Cooking with Children to Celebrate the Persian New Year” starting at 11 a.m. Batmanglij’s five cookbooks will also be available. For more information visit www.asia.si.edu. For additional information about the “Independent Lens” series and Community Cinema, visit http://www.pbs.org/independentlens. 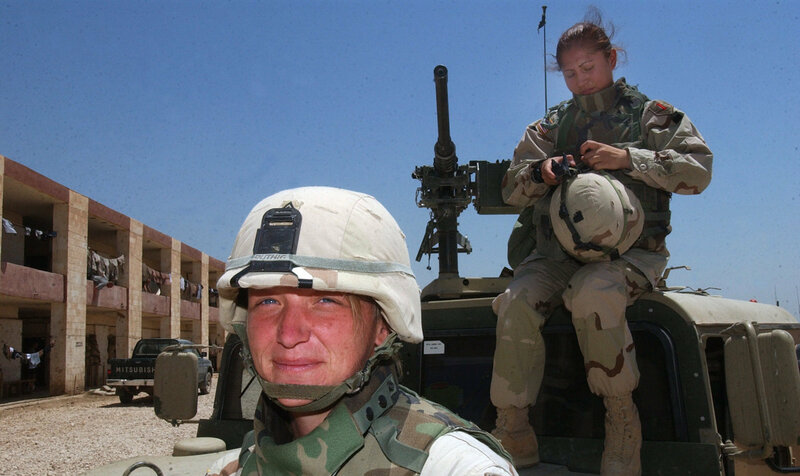 It doesn’t surprise me that American women on active duty in Iraq are also actively engaged in combat. These women are known as Team Lioness. Initially their assignment was to exercise cultural sensitivity i.e. search and engage Iraqi women, where men are prohibited, by custom, not to go. Being on the move with active combat units the Lioness women are forced into battle even though they didn’t receive the identical training of their male counterparts. It’s a kill or be killed proposition. So the surprise for me was learning that to this day official U.S. military policy prohibits women from engaging in active combat. The debate continues on that topic as with the war/occupation itself. Regardless of your position on the Iraq war, this is a must see film. I do want to make a note of intense combat footage from Iraq, the first I’ve ever seen olf its kind which speaks to the lack of information coming from embedded media sources. For the most part we see these five women at home readjusting to civilian life after their tour of duty; obviously for some it is more difficult than for others. Reserve: lioness@communitycinema-dc.org or call 202-939-0794. Be sure to check out the Community Cinema [DC]website for the list of speakers for these screenings from the Center for Women at the Veterans Administration, Disabled American Veterans, and the Office of Veterans Affairs for the District of Columbia.